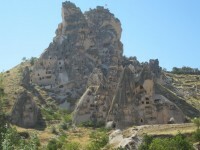 New Göreme Tour is a small independent locally owned family-run travel agency which has been providing services to travellers coming to Cappadocia for over 20 years. 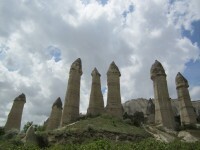 Founded in 1990, it has been called New Göreme Tours since 1996. In 2010 Ibrahim Budak, the current owner, returned from the USA, where he had been expanding his knowledge about the tourism industry and when his father retired, took over running the company. We are fully registered members of TURSAB (Union of Turkish Travel Agencies) and a class A registered agency with a licence number 3150. 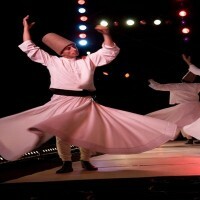 We specialise in both local group and private tours, activities in Cappadocia such as hot air balloon flights, Whirling Dervishes ceremonies, Turkish Night shows, hiking tours and both group and private airport transfers. Every vehicle is fully air conditioned and drivers are fully insured and have thenecessary licenses required by authorities to carry passengers. 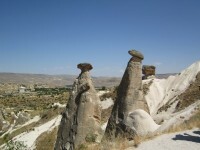 You will receive the best possible advice from our trained, professional consultants who are all well-educated, well travelled and have an exceptional knowledge of the tourism industry and especially the Cappadocian region. They know the region as the palm of their hand and can always recommend the most suitable options for your interest and budget. 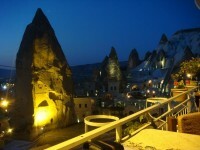 Our friendly staff will do everything to make your once-in-a-lifetime holiday in Cappadocia comfortable and unforgettable.